The Flymo Mini Trim ST gives your garden the perfect finishing touch. 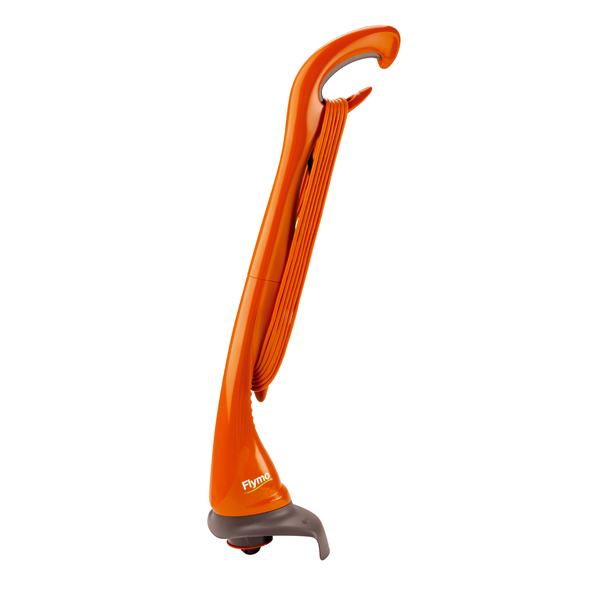 Ideal for trimming around walls, trees, paths and fences, this lightweight trimmer is easy to use thanks to an easy grip handle for comfortable use and ergonomic controls. With a handy cable storage facility to keep your mains cable neat and tidy, there will be no more tangled cable, giving you more time to enjoy your garden. The powerful 230 watt motor spins at 12,000 rpm and will tackle your lawn with ease, effortlessly trimming through the grass with the single line head. The 1.5 mm diameter line head is manually adjustable. The 6 metre mains cable means that your Mini Trim ST is ideally suited to smaller garden areas.